My family often shops at Smart and Final to buy warehouse size items like paper towels, snacks, household cleaning items and meat. We can get many club size items there without the membership fees of other places. 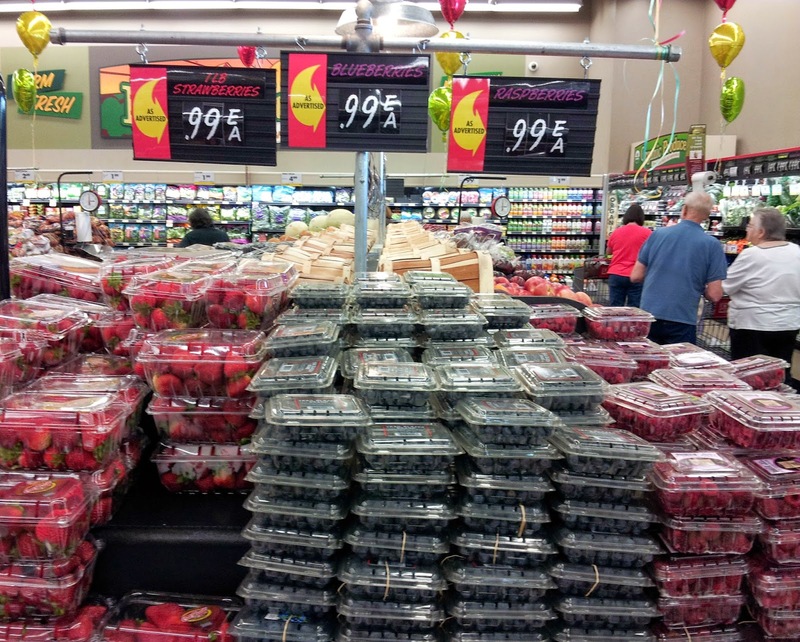 The reason we like Smart and Final is we can shop for the bulk stuff but also smaller items like fresh produce and bakery goods. We are a family of 3, we do not need everything we buy to be in club store sizes so it is a nice mix of items. I am celebrating my birthday next week and needed to do some birthday party shopping. A new Smart and Final store opened near my mother in laws house so we decided to stop by the celebration and shop before heading to her home. The first thing we see when we enter the store is the produce department filled with lively colors. The prices I saw next and gasped! Only $1 each for my 3 favorite berries, in that moment we changed dessert plans from ice cream to mixed berries with cream. I always find good deals at Smart and Final but for the Grand Opening celebration in Carmichael CA we found super savings to celebrate. Each birthday party in my family I am always the one who buys and puts up the party decorations so naturally I pick out my own. I think I would be shocked if I ever woke up and the house was already decorated for my birthday (hint hint to my husband). I like that I can find all the many types of products I need in one store, bulk or single items. My son spotted a giant bag of balloons for making balloon animals, being the fun Mom I am I got them and we plan to google how to make the animals for my birthday party. Among all the great deals we found there were little sample stations, coupon booklets being handed out and friendly staff restocking the shelves. It was crowded in the store but the lines were short and the deals were great. 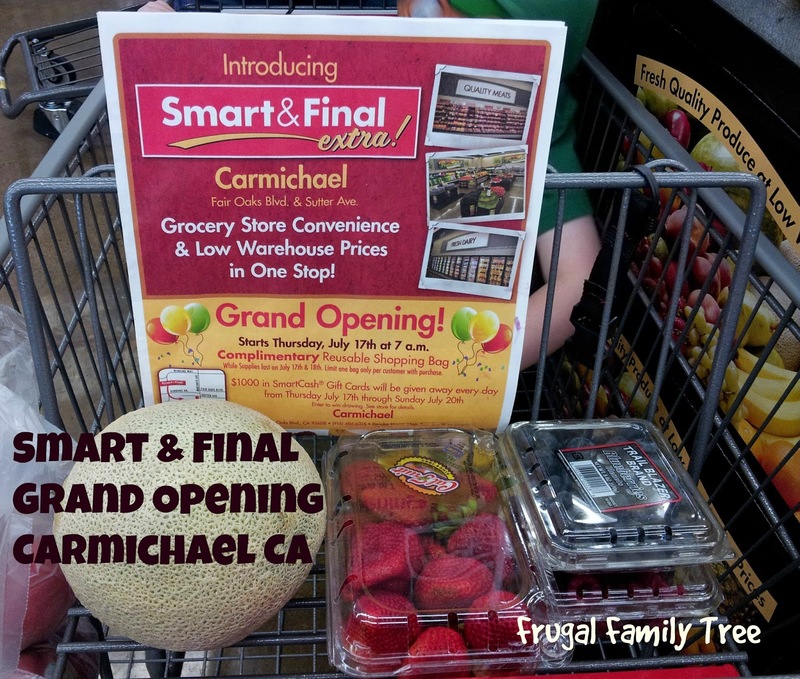 The location of the new Smart and Final we visited is 7223 Fair Oaks Blvd., Carmichael, CA 95608. There will be Grand Opening celebrations all weekend at this location until Sunday July 20th. My son and I had to "test" some of the cupcakes before we put away all the party decorations and food for later in the week. I liked that we were able to find the party decor, the meat for BBQ, the produce and drinks for the birthday party all in one place without the overwhelming size of a warehouse store. If you would like some recipe ideas for making some great desserts for your next birthday party you can find them at the Smart and Final community. To connect with Smart and Final you can follow them on twitter and facebook.